At least 500 customers of “smart lock” manufacturer recently experienced an unpleasant surprise: a software update from the company permanently disabled the keypad locks on their properties and prevented the devices from re-connecting to the company servers — eliminating any chance to remotely fix them via a new software update. The incident is a reminder of the risks that come with the “Internet of Things” (IoT) — when your home’s appliances and security devices are reliant on the services of other companies, things can quickly deviate from the norm. 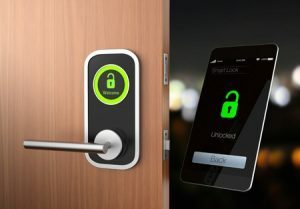 The affected keypad lock, RemoteLock 6i, is equipped with wi-fi, which allows for remote control by the owners, as well as for keeping the firmware updated via background updates. At least 200 Airbnb customers were impacted, with many of them taking to Twitter to vent their frustration.